Thank you for caring enough to take the time to visit a Web site dedicated to how our lives have changed since our precious firstborn child Thomas was born in May 2014. After almost two years of trying to get pregnant and the loss of two babies, we believed our testimony would end with the birth of Thomas. Little did we know it was only beginning. Thomas may have only lived a short life here on this Earth, but he made a huge impact on many people’s lives all across the world. To be a young baby, he exemplified the qualities of strength, hope and love. Thomas was such a strong fighter. He fought a long, hard and painful battle. He never gave up. Thomas gave us so much hope. Our faith in God was strengthened and we prayed like we had never prayed before. God chose to heal Thomas completely in Heaven, so we now cling to the hope that we will see him again one day soon. An abundance of love surrounded Thomas. He gave and received eternal love. We hope you will check out our story and learn more about our precious, yet heartbreaking journey with Thomas. We will also be updating the blog regularly as our testimony continues to unfold, so we hope you will check back often for updates. Also check out the Photos page as well as the Resources & Support page. 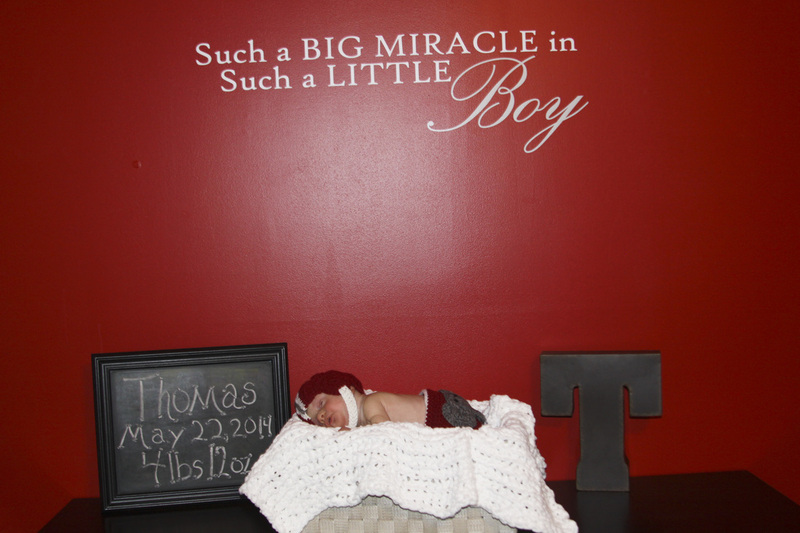 Since Thomas' birth, we have connected with many different doctors and organizations that we believe could be of assistance to many people. Thank you for your prayers and support. Be sure to contact us with any questions you may have. If you would like to receive an email notification each time we update our blog, please enter your info below! Be sure to add ChangedbyThomas@gmail.com to your address book so that it will not be marked as spam.